This is my NISSAN MARCH which I bought from SBT Japan. 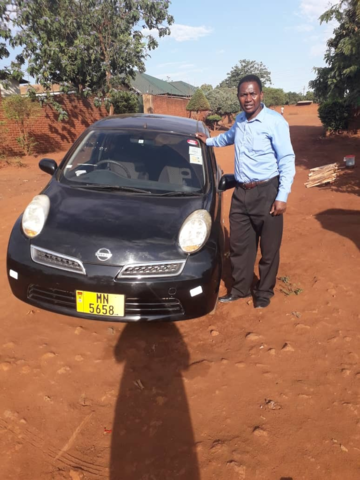 Nissan March is a very good car and it is very comfortable. Thanks very much to my SBT Manager ARLENE who helped me to purchase my car at a good price, I appreciate a lot madam and I am promising you that I will continue doing business with you. Because my car is almost Brand New. I recommend you to be the best manager of the year. Bravo ARLENE keep it up and continue doing your best to every customer. To all my fellow customers try to do business with Arlene you will never regret I am the witness. She helped me to negotiate about the price she’s the best negotiator I tell you.